A little makeup can make a big difference. That is the message behind the premiere broadcast “QVC and CEW Present Beauty with Benefits.” The two-hour charitable event, scheduled to air Thursday, April 25 at 9 PM (ET), is a collaboration between QVC and Cosmetic Executive Women (CEW). The event will feature more than 15 prestige beauty brands across categories and price points, with net proceeds benefiting Cancer and Careers, a program of the CEW Foundation that supports men and women balancing work and cancer. Select brands such as Clarisonic, Bare Escentuals, StriVectin, tarte and Laura Geller are scheduled to be featured during the “QVC and CEW Present Beauty with Benefits” broadcast. As an added incentive, QVC is offering a gift with purchase that includes samples from participating brands, plus shipping and handling will be offered at no charge. 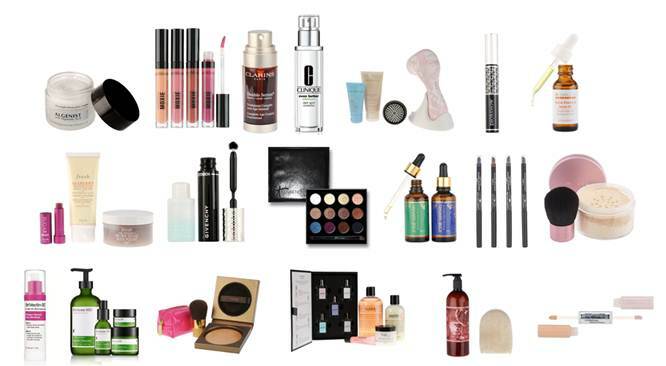 Beauty products featured as part of “QVC and CEW Present Beauty with Benefits” will be available while supplies last, through QVC.com, the QVC apps or by calling 800.345.1515.